I have recently been setting up my portfolio for an upcoming show in London, so I figured that this was as good of a time as any to upload a few of the images! 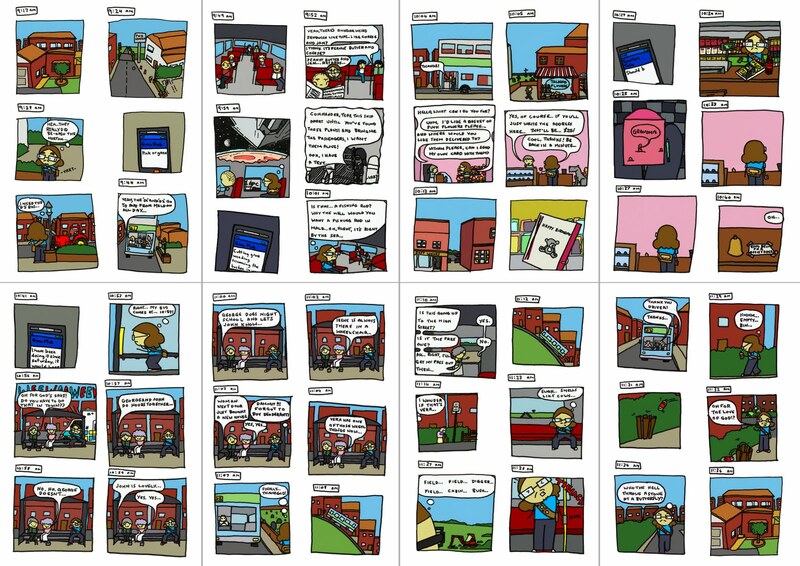 This is The Amazing Journey, the whole thing is essentially just a trip to town, I did this as a holiday documentation project for Uni. 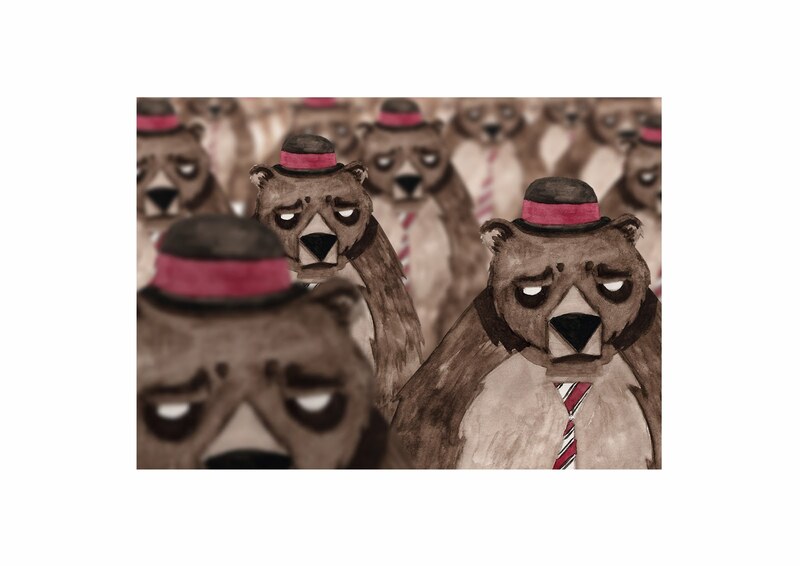 This next image was for an animation that I did in Year Two at UCA. It was a mishmash of Goldilocks and The Three Bears and The Three Little pigs. 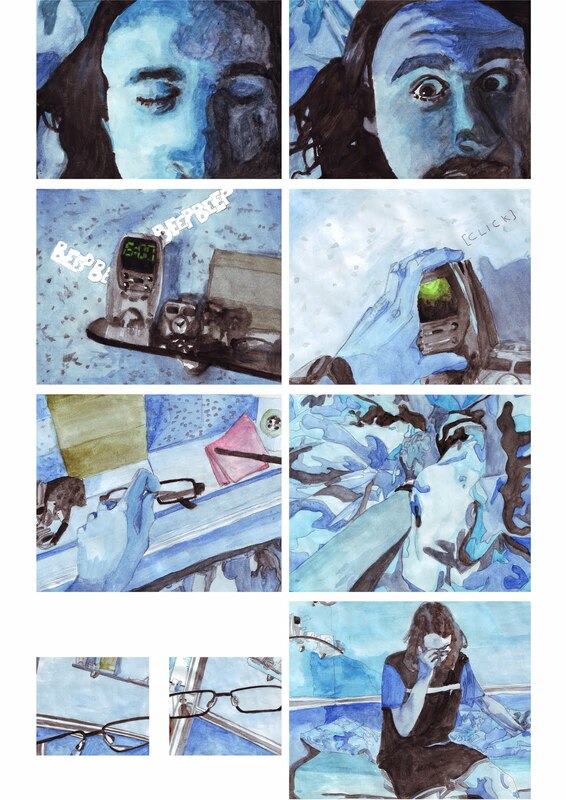 The basic concept was that each of the protagonists knocked at the wrong door... the animation used to be online, but isn't anymore and it was a collaborative affort between a fellow illustrator and two graphic designers. 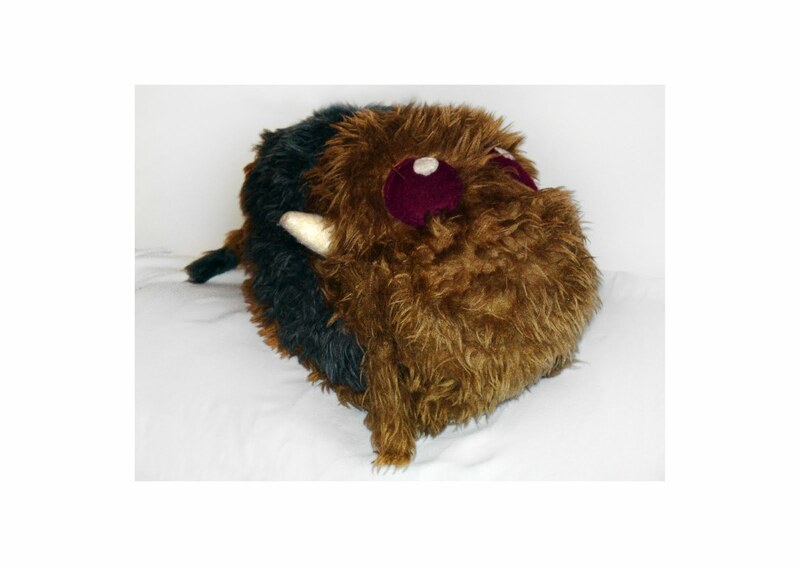 This fellow here is The Magical Bison of Doom. I have been doing small unrelated illustrated series' with him over the past year or so and for my girlfriend's valentines gift I made her a plushy version from scratch. He took about a week or two to make, from plans to getting materials to actually making him and I'm actually quite pleased with how he turned out! 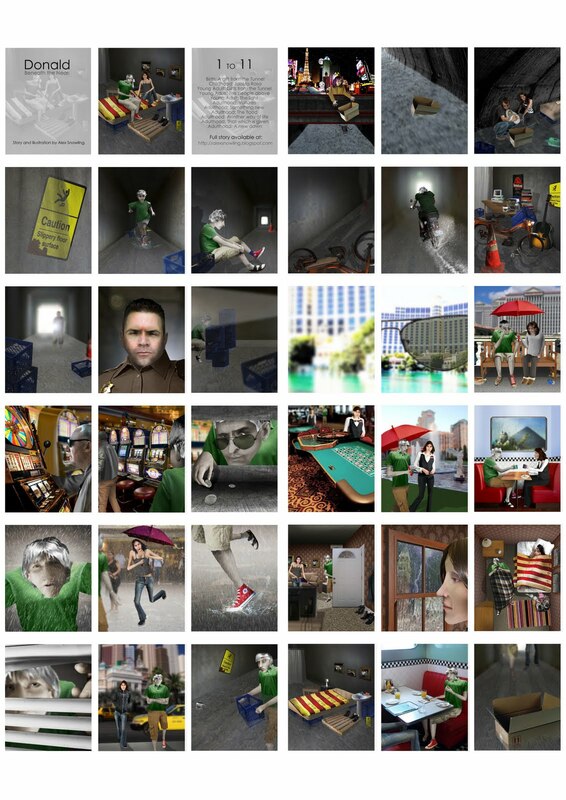 Donald, as you have already seen, is the story of a man who lives in the tunnels of Las Vegas, for more info or single images just scroll down a bit, or click the Donald tab on the right! 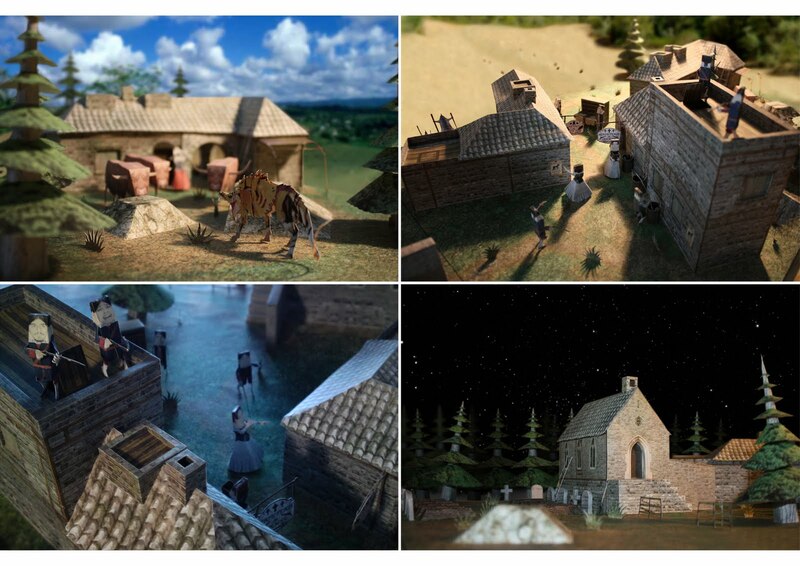 Gevaudan, the village plagued by a beast made entirely from paper! For more info, scroll down or click Gevaudan! Belief was part of a series of about seven books I did while looking into the lives of a group of Spiritualists just down the road from where I live, it was a documentation project that I tried to show in multiple ways for the ways each person described their faith and experiences. The full range varies from ink, pen, pencil, cut-out, stencil etc. 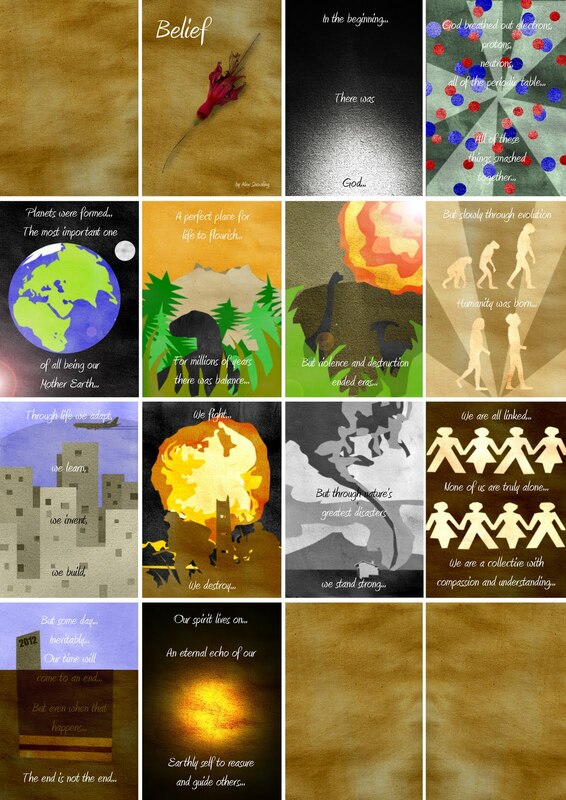 and they were all stored in a wallet labelled "Belief". Kyte. Kyte was the story of a man with green blood, an actual deformity in humans if you have a certain imballance. What started as a simple idea blew into a fairly ridiculous story, but I am still pleased with some of the imagery and layouts. 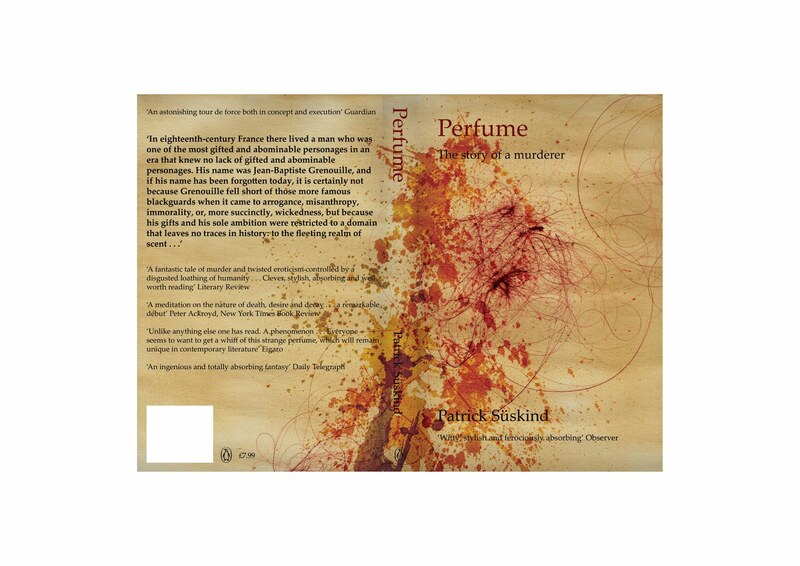 Penguin did a book cover project last year and the book they chose was Perfume by Patrick Suskind. 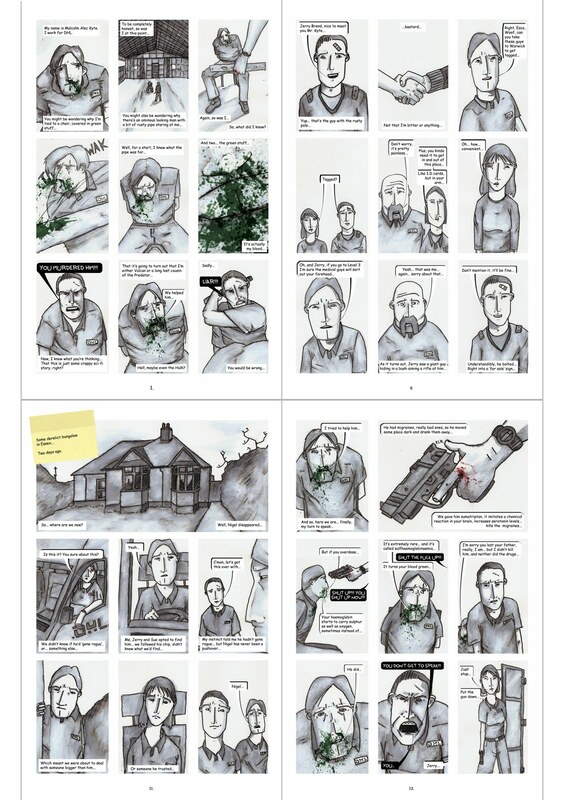 I really enjoyed the book, and straight away started testing out ways to tell the story visually by using elements in the book. In the end I went for this; a portait of the main character, Grenouille, in the substance that he created from the hair and scent soaked fat from the women he kills in the book. If you have read it, Grenuille has an amazing sense of smell, but has no scent of his own. Unnoticed was another College project where I got a series of family photos and photos I had taken, and then focussed on the people in the backgrounds of these photos. The idea was to change the focus, what/ whoever these photos were orginally of was removed and insetad we're left with a portrait of unnoticed people. 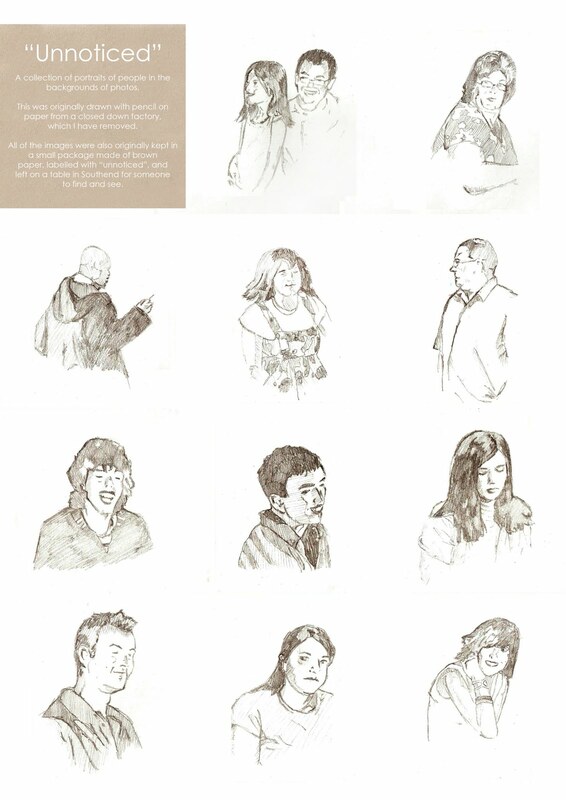 The images were all separate and were left in an envelope for people to find to keep up the unnoticed idea. They are all pencil on paper. And last but not least, the Villa. 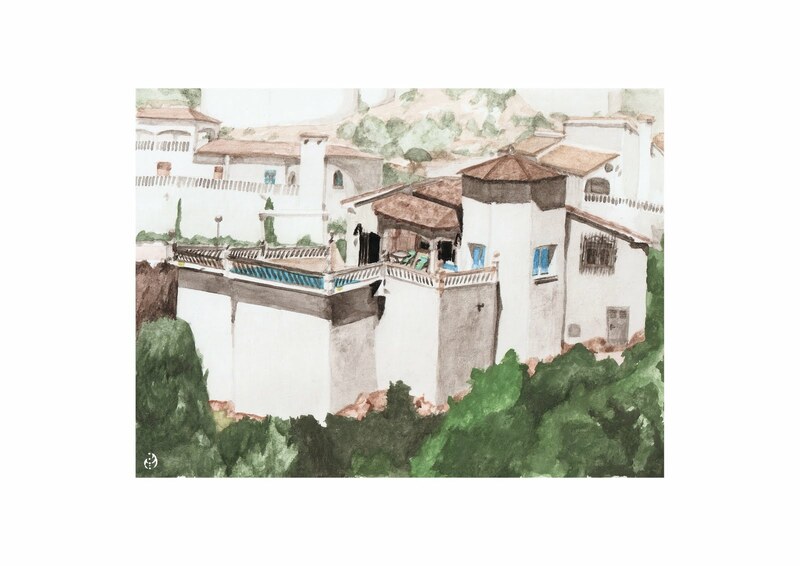 My family and I went on holiday to Spain several years ago and while I was there I decided to paint a few pictures, the first was the view from the balcony and the second was of the actual villa we stayed in. This is the view of the villa from a ledge on the other side of the mountain and it took about 3 to 5 days to complete. After it was finished the owner of the villa purchased it from me which was quite nice. We have been there a few times since. 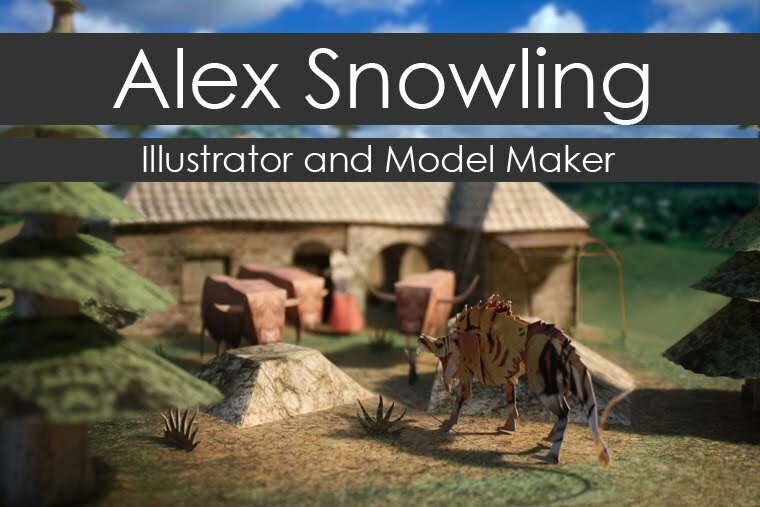 So, that's my portfolio so far, I hope you enjoyed it!